Water damage can strike any time of the year. Whether it is a pipe burst in the winter or a heavy rain in the summer, Laurens Restoration, Inc. is at your service to mitigate any type of water or flood damage. How Does the Process of Water & Flood Damage Restoration Work? 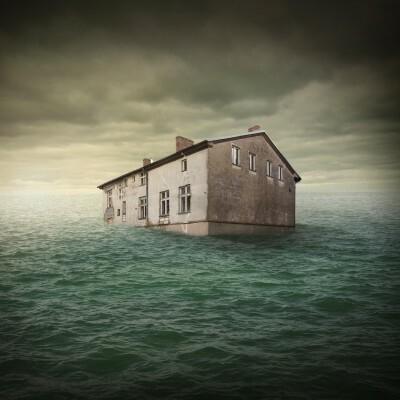 When you need help with flood or water damage restoration, just call Laurens Restoration to help! Due to the nature of flood and water damage, time is always of the essence in order to prevent any further damage from occurring. How did the water damage occur (e.g. flood, burst pipe, etc…)? When did the water damage occur? What areas of your home or business were affected? How long has the water been there? What attempts have been made to fix the problem? Once we have the necessary information, we will send a flood damage crew to your home or business. While onsite, our Flood Damage Crew Leader will assess the water damage and determine how best to proceed for your specific case. He or she will advise you of what type of work is recommended. Common procedure may include extracting water if necessary, cleaning and disinfecting floors, walls, ceilings, and any contents that may have been affected by the water. In addition to the cleaning, it may be necessary to remove materials, such as drywall, baseboard, ceiling tiles, wood paneling, flooring, etc. The actual process in your home will depend on the specific water damage that took place. After the water damage cleanup has been completed, our crew will leave high-powered drying equipment in your home in order to dry the affected areas. Most commonly, blowers, fans and dehumidifiers will be left on-site. This equipment will be monitored by our staff to ensure proper dry-out and will be removed from your home once all affected areas have been properly dried. Laurens Restoration, Inc. is a full service restoration company. Our construction department can assist you in any of your water damage reconstruction needs. We would be happy to schedule a Construction Estimator to give you a quote on the necessary repairs.